Through this website HiltonHeadIsland.com will collect information that can identify you, such as your name, address, telephone number, e-mail address, and other similar information (“Your Information”) when it is voluntarily submitted to us (however, see discussion below about “IP Addresses” if you have a broadband connection). We will use Your Information to respond to requests you may make of us, and from time to time, we may refer to Your Information to better understand your needs and how we can improve our websites, products and services. We may also use Your Information to contact you and/or provide you with general product information (like information on certain upgrades) as well as information about our products and services. We may also enhance or merge Your Information with data obtained from third parties for the same purposes. Any other information transferred by you in connection with your visit to this site (“Other Information” – that is, information that cannot be used to identify you) may be included in databases owned and maintained by HiltonHeadIsland.com, or its agents. HiltonHeadIsland.com retains all rights to these databases and the information contained in them. Other Information we collect may include your IP Address and other information gathered through our weblogs and cookies (see below). We may share Your Information with agents, contractors or partners of HiltonHeadIsland.com, connection with services that these individuals or entities perform for, or with, HiltonHeadIsland.com, These agents, contractors or partners are restricted from using this data in any way other than to provide services for HiltonHeadIsland.com, or services for the collaboration in which they and HiltonHeadIsland.com are engaged (for example, some of our products are developed and marketed through joint agreements with other companies). We may, for example, provide your information to agents, contractors or partners for hosting our databases, for data processing services, or so that they can mail you information that you requested. 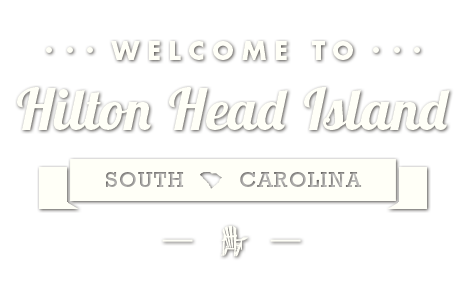 HiltonHeadIsland.com reserves the right to share Your Information to respond to duly authorized information requests of governmental authorities or where required by law. In exceptionally rare circumstances where national, state or company security is at issue (such as with the World Trade Center terrorist act in September, 2001), HiltonHeadIsland.com reserves the right to share our entire database of visitors and customers with appropriate governmental authorities. The Site contains links to web sites of third parties. HiltonHeadIsland.com is not responsible for the actions of these third parties, including their privacy practices and any content posted on their web sites. We encourage you to review their privacy policies to learn more about what, why and how they collect and use personal information. HiltonHeadIsland.com adheres to industry recognized standards to secure any personal information in our possession, and to secure it from unauthorized access and tampering. However, as is true with all online actions, it is possible that third parties may unlawfully intercept transmissions of personal information, or other users of the Site may misuse or abuse your personal information that they may collect from the Site.